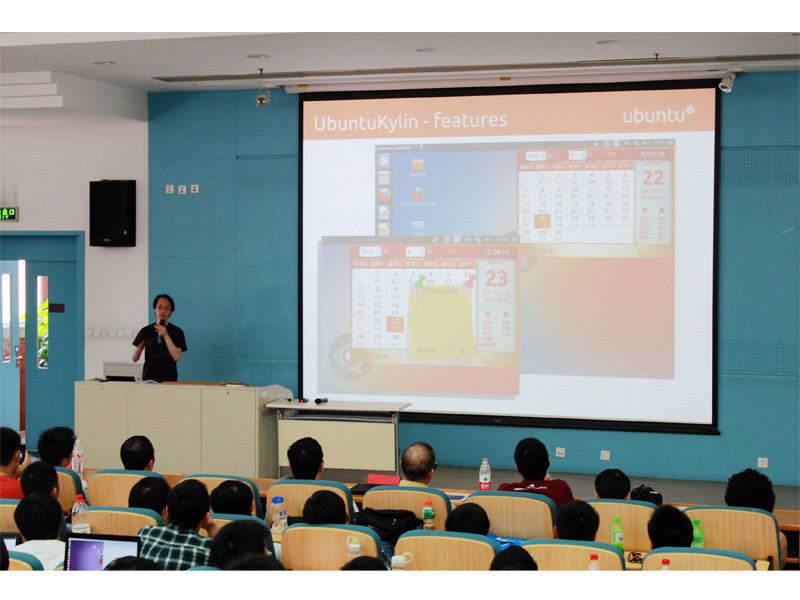 May 11 ub/uk 13.04 release party has been successfully held with greatly support from open Source Software Association of graduate school in Chinese Academy of Sciences .This party achieved the majority of open source enthusiasts and developer’s wide support and participates. Over 300 people took part in this party. This party totally according to run down we made .Not only has excellent reports from guests,but also has sharp question from audiences.At highlight brought claps and produced much mirth among the audience. Canonical’s project manager Anthony ‘s report let us know about features 、distinguish and follow-up plan of ub and uk。Kingsoft wps technical mananger jcz’s report recounted hardship in developing and answered the questions of wps intellectual property right .ubuntu tweak’s writer zhouding shared gains and happiness during creating open source software in six years. Project founder of seafile xujiaqiang introduced principle and Bright future of Collaborative document development system. Following secret guest ----canonical company’s ceo jane ‘s appreance brings another climax. 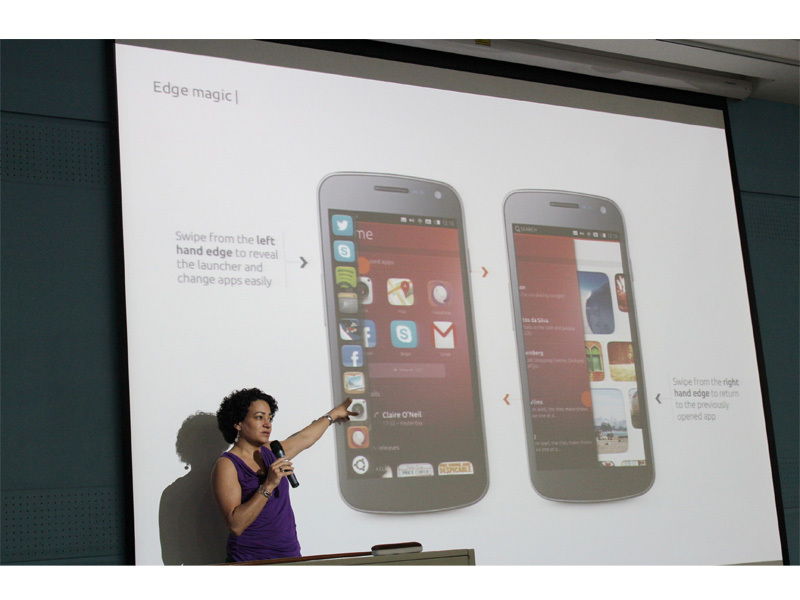 Jane introduced coming Ubuntu phone /tablet/desktop’s cool interface and design that made us look forward to .About gnome-shell and debian 2 different demonstrations also bring us refreshing feeling. 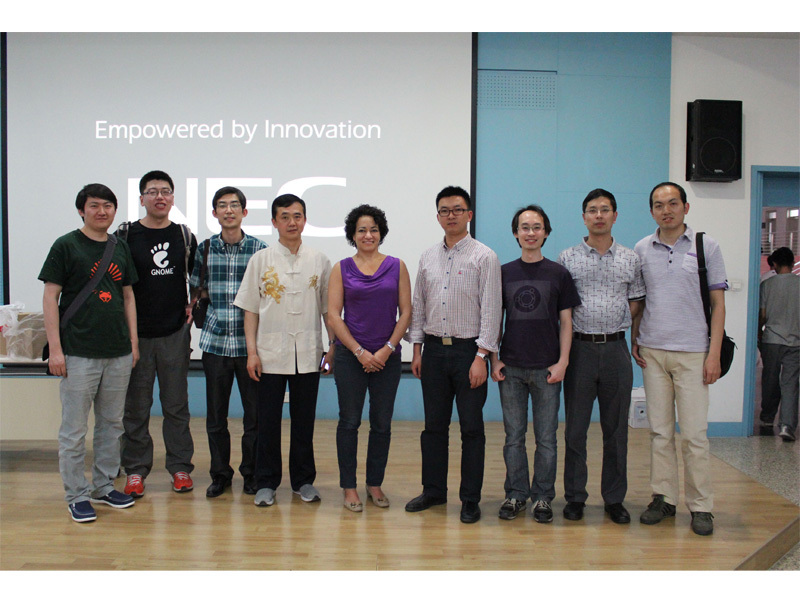 Project founder of sefile xujiaqiang introduced principle of Collaborative document development system.